Release Notes highlight the recent product updates so you can stay up-to-date on what's new. On 4/26/2016, we released an update to the Standard Format commission map. This update may affect older saved versions of Excel files. If you receive an error while importing your saved file please download the new Standard Format file, copy your data to the new file and re-import. 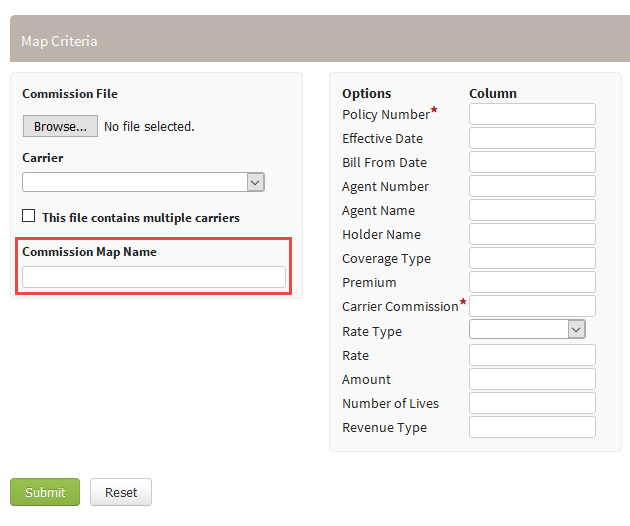 Policies Report: Now includes a Type Column for Individuals and Groups. Commission Actual vs. Expected: Now includes Individual DOB and SSN.